This is a great baby carrier and super versatile! Now that my daughter is a little older, the hip seat option is very convenient and helps me when carrying her around the house. Using Ecleve is a breeze, it is simple but also effective and my baby girl stays nice and safe while in the carrier. The material is comfortable and soft, and cleans easily. I love that I can wear my baby in it multiple ways and she can stay nice and close to me! I don’t know how I went so long without this carrier! My 5 month old son has reflux and is in this carrier multiple times per day! He naps in it, plays in it, and loves being on the hip seat. I wear my 2 year old in it too! Neither of my other carriers even come close to matching up to the ecleve! It makes for a very happy house! A must have for back support! Hip seat concept is genius! It evenly distributes baby's weight and uniquely designed wide band hugs my waist for extra comfort/support. Love the lightweight fabric and the sleek design that compliments any outfit. 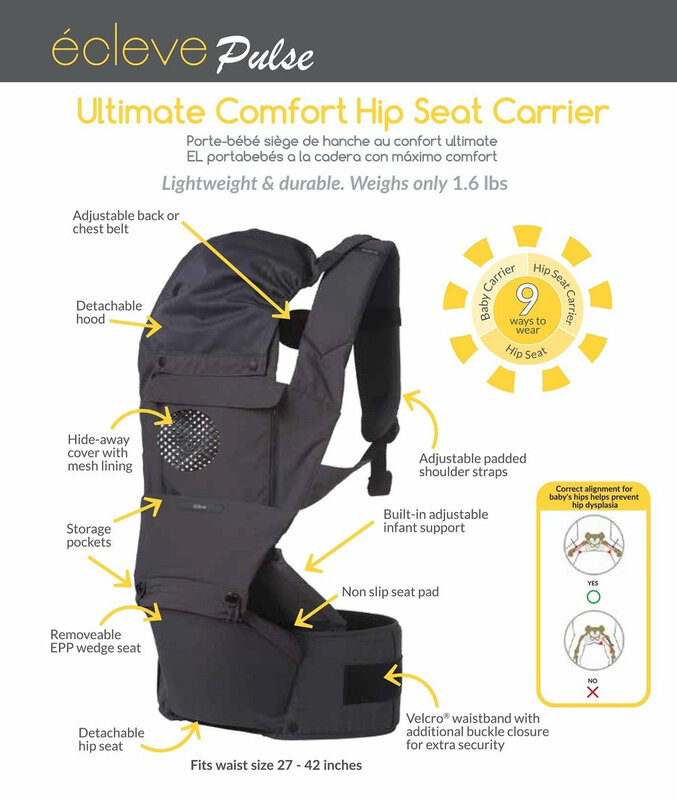 The detachable hip seat makes my little ones feel as if they're floating a little as I shift them to my back. They're able to sit up higher and see over my shoulder as well. The wedge comes out easily, though, for those smaller kiddos. Since Gooby is right on the cusp of weight classes, I've taken to leaving the wedge in place so that the Honey Badger can share. 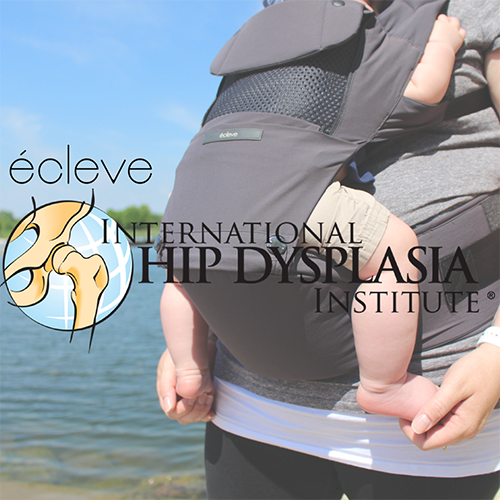 While I generally prefer to back carry my kiddos as soon as they're able, the Écleve Pulse offers 9! options for little ones weighing 12-45 pounds. The waistband is thicker, providing support in any carry position. 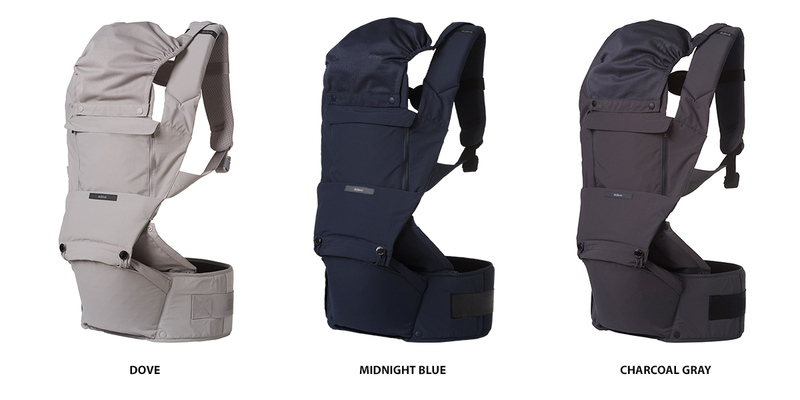 It fastens using hook & loop with an added buckle closure for safety. The front panel unzips down to let the breathable mesh panel keep us cool in warm temps. (There's even a storage pouch for it!). This carrier is similar in many ways to an ergo. The material is nylon so it doesnt feel as plush, but does makes cleaning easier. It also comes apart in pieces so cleaning is easier as opposed to having to wash the carrier in one piece. The waist band is thicker then others I've used, and will accomodate a lot of sizes. However, for a petite person it did feel kind of bulky. The hip seat was not as bulky as I anticipated from pictures, but be aware that it will add some extra space. 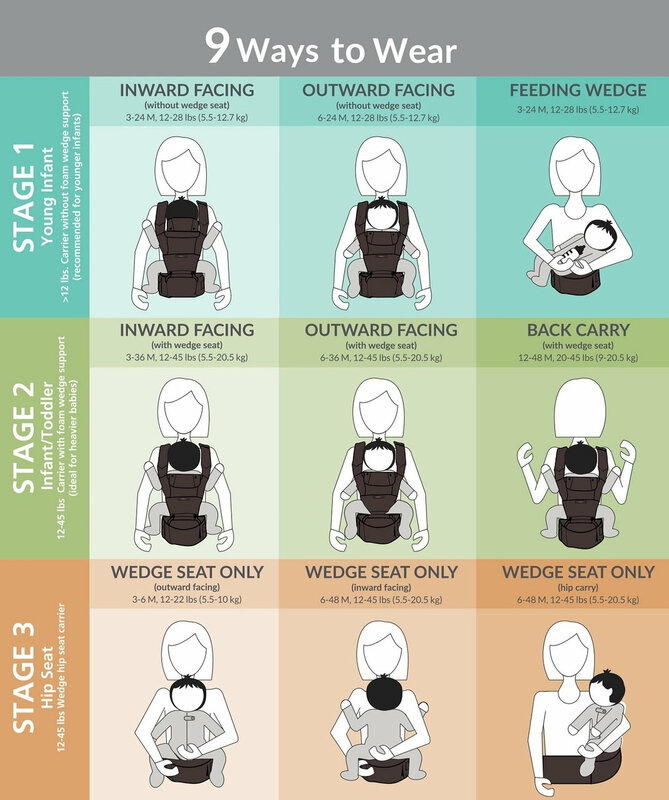 The option to hip seat carry is nice for someone like me who has diastasis recti and needs to be careful in holding my kids properly. You have more carrying options than most carriers. For reference, I have used an ergo, a graco, a tula, and a moby.